We can all be guilty of idealising Christmas. In our heads it is a time of harmony and fun and mutual appreciation. In reality the run-up can often be full of over-excitement, expectations, exhaustion and frayed tempers (for adults and kids alike). It is good to recognise that these two aspects will sit together – this is what I am learning for myself as a parent. So when the parent of a little boy who I support to use AAC sent me this photo I laughed and empathised with his mum, but also felt bursting with pride that this little boy had a way to communicate his thoughts. This felt like a true reflection of the days before Christmas. So, have a “happy”, “smelly”, “jolly”, “boring”, “cheeky” but most of all a “communicating” Christmas. Jude is a specialist speech and language therapist who is passionate about unlocking potential, Jude loves supporting families with complex communication needs and has a special interest in #AAC, #Augcom. 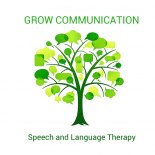 This entry was posted on January 6, 2018 by judephilip in Uncategorized and tagged AAC, AIDED LANGUAGE, Augcomm, cerebral palsy, communication, Complex needs, FAMILY, grow communication, PRESUMING COMPETENCE, slpeeps, speech and language therapy.